In comments filed on March 23 on its Petition for Rule Making (RM 11759) seeking changes to 80 and 75 meters, the ARRL has told the FCC that its primary objective is to "rebalance" the bands by correcting a 10-year-old FCC error. "ARRL's proposal is not fairly viewed as a proposal to take anything away from anyone," the League's comments assured. "It is more properly viewed as the effectuation of a fair, equitable, and efficient 'band plan' looking forward for the foreseeable future that balances everyone's needs, and which remedies a plainly unfair plan, imprudently created in the 2006 Report and Order in WT Docket 04-140." Prompting the League's assurances were comments filed on the ARRL's Petition by a number of Amateur Extra class licensees, who felt that refarming 3600 to 3650 kHz for data modes could prove to be a disincentive to General licensees to upgrade. Others commenters saw it as an unfair spectrum grab. The ARRL noted that prior to 2006, the band was evenly divided between RTTY/data and phone/image subbands, with the RTTY/data subband extending from 3500 to 3750 kHz, and the phone/image subband extending from 3750 to 4000 kHz. The 2006 FCC Report and Order "substantially altered" what the League called "this even division of emission types." In outlining the history of the proceeding, the ARRL pointed out that the FCC's Notice of Proposed Rule Making in Docket 04-140 would have shifted the line between the 80 meter RTTY/data subband and the 75 meter phone/image subband from 3750 kHz to 3725 kHz, pursuant to a 2002 ARRL Petition for Rule Making, RM-10413. This would change the ratio of spectrum between phone/image and RTTY/data segments on 75/80 meters from 50/50 to 55/45, and it is what the FCC proposed in its NPRM. In its Report and Order in Docket 04-140, however, the FCC made "a very substantial and unjustifiable departure" from what it had proposed in its NPRM, the ARRL recounted. The Commission expanded the phone/image subband at 75 meters to 3600-4000 kHz, and it reduced the 80 meter RTTY/data subband to 3500-3600 kHz, eliminating RTTY operation above 3600 kHz and changing "the entire dynamic of this band," the League said. The FCC had said in its proposal that no licensees would lose operating privileges. Nonetheless, the FCC's phone band expansion reduced by 100 kHz the spectrum between 3500 and 4000 kHz that was previously available to General class licensees, while Advanced licensees lost 75 kHz. In an apparent FCC oversight, the Report and Order completely eliminated access by automatically controlled digital stations (ACDS) to 3620 to 3635 kHz. A subsequent FCC Report and order and Order on Reconsideration only made the situation worse by replacing the deleted ACDS segment with 3585-3600 kHz. That resulted in "a shortfall in available RTTY/data spectrum on 80 meters," the ARRL said, adding that its current Petition "simply restores that which was disruputed in 2006 in error." Read more. The popular QST "The Doctor is In" column soon will also be available as a podcast! "ARRL The Doctor is In" will debut on Thursday, April 7, and subsequent new episodes will be posted every other Thursday. The podcast will feature QST columnist and technical whiz Joel Hallas, W1ZR, with QST Editor in Chief Steve Ford, WB8IMY, serving as the host. Each 20-minute program will be available from Apple iTunes and Stitcher -- the two largest podcast distribution platforms (search for "ARRL The Doctor is In") -- and episodes will be archived on the ARRL website. DX Engineering is the sponsor of the "ARRL The Doctor is In" podcast. "When the ARRL presented us with this unique opportunity, it was an easy decision to make," said DX Engineering CEO Tim Duffy, K3LR. "DX Engineering is one of the most prominent businesses supporting the ham radio community, so it just makes sense to be part of the 'ARRL The Doctor is In' podcast." The new, twice-monthly podcast will cover a broad range of technical topics of interest to all amateurs -- everything from antennas to zener diodes and beyond. We invite listeners to send us their own questions for the show. Your question could be answered in a future podcast. "ARRL The Doctor is In" arrives on Thursday, April 7! Texas. At the meeting, ARRL General Counsel Chris Imlay, W3KD, observed that there have been "several positive developments" with respect to FCC enforcement, since the EC last met in October 2015. But with the closure of some FCC field offices and the retirement of several experienced engineers who have been helpful with enforcement matters in the past, the EC discussed how the OO program might be better positioned to help the FCC. 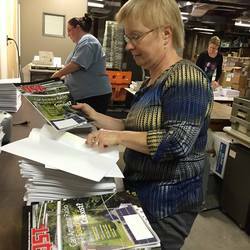 A preliminary report is due at the EC's October meeting. In other matters, the EC directed the development of a Petition for Rule Making to implement the 15 kHz band allocation at 5 MHz that came out of World Radiocommunication Conference 2015, while retaining the existing five discrete channels at 5 MHz. WRC-15 laid the foundation for a global, secondary Amateur Radio allocation of 5351.5 kHz to 5366.5 kHz at up to 15 W effective isotropic radiated power in the US (some Region 2 countries will be permitted up to 25 W EIRP). The new worldwide band won't be available for use in the US until the FCC institutes a rule making proceeding and establishes operating parameters for the band. The ARRL has served notice on the National Frequency Coordinators' Council (NFCC) to terminate the Memorandum of Understanding (MoU) that spells out how the two organizations will cooperate in achieving common goals. 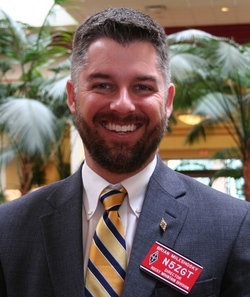 At the EC's direction, ARRL CEO and EC Secretary David Sumner, K1ZZ, wrote (page 1, page 2 ) to Mark Stennett, NA6M, as the most-recent known NFCC president, after Sumner reported "clear evidence" that the NFCC is no longer functioning. The letter gave the NFCC 90 days' notice of the ARRL's intention to terminate the MoU, signed in 2013. Sumner stressed the sentiment of the Executive Committee, however, that the League would greatly prefer that the NFCC membership elect and install a new Board of Directors, and that the NFCC resumes its functions. Imlay told the EC that he has asked FCC staff why there has been no action on the ARRL's Petition for Rule Making RM-11708, since the FCC solicited comments on the petition more than 2 years ago. The petition, in part, asked the FCC to remove the symbol rate limitation for data emissions in band segments below 29 MHz where RTTY and data emissions are now permitted. It also asked the Commission to establish a 2.8 kHz maximum bandwidth for data emissions on MF and HF bands. Chairing his first EC meeting, ARRL President Rick Roderick, K5UR, thanked all participants for their hard work and attention and observed that this was David Sumner's last meeting as CEO and Secretary. He will retire on April 18. Read more. Satellite aficionado Paul Stoetzer, N8HM, activated the National Mall (DZ06) in Washington, DC, on March 27, during two FO-29 satellite passes. Stoetzer said he plans to operate from other NPOTA sites in the DC area and will set up to operate HF between satellite passes. See W5PFG's blog about N8HM's activity. 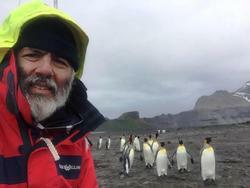 The week of April 1 offers some very high-profile NPOTA expeditions. A team of of five Hawaiian operators from Oahu will travel to the north side of Molokai Island to activate Kalaupapa National Historical Park (HP18), April 1-5, as KH6BWG. Once a leper colony, the site is isolated from the rest of the island by 1600-foot cliffs. It's located in Kalawao County, one of the rarer US counties. One QSO with KH6BWG is worth a credit in several awards programs. Activity will be on 40-10 meters on SSB, CW, and digital modes. Yosemite National Park has published a guide for NPOTA activators who visit this venerable National Park. The Yosemite Office of Special Park Uses worked with ARRL to establish equitable rules for visiting Activators that will help promote NPOTA activity while minimizing impact on other park visitors, during what is certain to be a season of record attendance at Yosemite. The document is also available on the NPOTA website. In all, 44 Activations are slated for March 31-April 6, including Organ Pipe Cactus National Monument in Arizona (MN58), and the San Juan National Historic Site in Puerto Rico (NS63). Two major DXpeditions are now attracting hordes of DX chasers and raising activity levels on HF. While both the Heard Island VK0EK and Juan de Nova FT4JA DXpeditions coordinated their operating plans in advance to avoid conflicts and confusion, the fact that both DXCC entities are quite rare will keep things hopping on bands where both DXpeditions are active at the same time. Heard Island is number 5, and Juan de Nova is number 4 on ClubLog's DXCC Most Wanted List. VK0EK team member Eric Brown, K2ARB, and friends on Heard Island. "Because we will be on the air at the same time as the FT4JA DXpedition -- and because we will both be operating from a very similar time zone -- it is very important that we coordinate with the French Team, and we have," says the VK0EK website. The VK0EK and FT4JA websites include the same graphical presentation of their joint operating plan. The Juan de Nova DXpedition kicked off on March 30 and will operate until April 11. The VK0EK DXpedition began on March 23 and will continue until April 10. As part of that plan to head off potential conflicts, the VK0EK operators are listening down from their transmit frequencies, while the FT4JA operators are listening up from their transmit frequencies (both will always operate split). Stations attempting to work FT4JA on 20 meters on its opening day are spread over a wide swath of spectrum. This should minimize "pileup overlap," although if both major DXpeditions end up on the same band and mode, operators not interested in working either station could find it harder to locate a clear frequency. 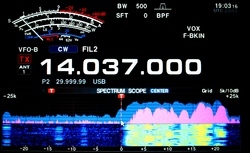 At one point on March 30, VK0EK and FT4JA were transmitting 3 kHz apart on 80 meters. Heard Island is in the Indian Ocean about 1000 miles north of Antarctica, and Juan de Nova is in the Indian Ocean in the Mozambique Channel between Mozambique and Madagascar, off the southeastern coast of Africa. "We built the radio camp and antennas under extreme conditions," a March 31 report from the FT4JA team recounted. "No wind at all during those first days. At night, the temperature doesn't really decrease, and we have thousands of mosquitoes showing up, looking for fresh meat. The sea is close but very warm, with sharks coming very close to the seashore." The VK0EK team has offered suggestions to increase a DXer's chances of getting into the log, but they apply to working any DXpedition. In short, the DXpedition operators will always work split, never simplex. Listen to the operator's instructions, and watch for the operator's calling "pattern" before you start calling. Also, get familiar with the band plan posted on the DXpeditions' websites. Read more. Dom Grzyb, 3Z9DX, in North Korea. last December. 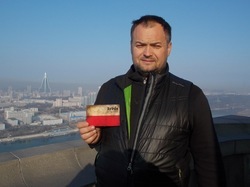 Well-traveled Polish DXer Dom Grzyb, 3Z9DX, has said he expects to be back in North Korea -- officially the Democratic People's Republic of Korea (DPRK) -- for his "official" activation by late summer. P5/3Z9DX showed up on the air from the most-wanted DXCC entity last December 20 and 21 to demonstrate Amateur Radio for North Korean officials. During that activation -- the first in more than a decade -- P5/3Z9DX made nearly 785 SSB contacts, most of them on 15 meters. Some unsubstantiated claims were floated following the pre-Christmas P5/3Z9DX operation that Grzyb was not really operating from North Korea. Read more. The ARRL Awards Committee has voted to delete Kingman Reef (KH5) from the DXCC List, effective March 29, 2016. Kingman Reef will be added to the Deleted Entities List on March 29, 2016. The total number of entities on the List will drop from 340 to 339. The deletion process is described in DXCC Rules Section II DXCC List Criteria, Part 5(a) Deletion Criteria. Kingman Reef at low tide. "An entity may be deleted from the List if it no longer satisfies the criteria under which it was added. However, if the entity continues to meet one or more currently existing rules, it will remain on the List." 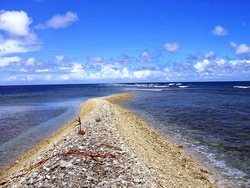 Kingman Reef's original addition by virtue of separate administration has changed (separate administration by the US Navy has been removed), and the reef does not meet any current criteria to remain on the List. The US Fish and Wildlife Service (F&WS) administers Kingman Reef and Palmyra Island. The reef is too close to Palmyra Island to count as a separate entity and now will be considered a part of the Palmyra/Jarvis DXCC entity. Prior to its deletion, Kingman Reef was the seventh most-wanted DXCC entity, according to ClubLog. It was last activated as K5K in 2000. Read more. Contesting clubs in Canada and New England have joined forces to invite non-hams, new hams, and even old timers to discover HF radio in the 21st century firsthand, by getting on the air and operating remote stations. Beta test "Discover the HF Experience" events will take place in April, with the debut on April 2 in Manitoba. A subsequent special event in Massachusetts will take place on April 10, using the call sign K1K. A major rollout is expected at Dayton Hamvention® in May, with four operating positions at ARRL EXPO. The "Discover the HF Experience" concept stresses that "shortwave" Amateur Radio is just as compelling now as it was 100 years ago. "Amateur Radio is complementary to new technology, not in competition with it," said Gerry Hull, W1VE, who came up with the idea and has been working with Cary Rubenfeld, VE4EA, in Manitoba to flesh it out into a program. "Ham radio is so experiential," Hull told ARRL, "so a key part of this process is getting hams to experience HF, if they're unfamiliar with it. As part of these events, we are going to have remote HF stations on the air. We will have Elmers to help participants through a contact, so they can see how HF really works," he added. "Our amateur population is at an all-time high, but most new hams are getting a Technician ticket, getting on VHF and UHF, and hanging out with like-minded friends," Hull said. The limitations on what Technician licensees can do often leads to boredom, Hull said, "and they drop out of the hobby. They never get the exposure to HF ham radio, and as any veteran radio amateur can tell you, that's a lifelong exploration." Radiosport Manitoba and the Winnipeg Amateur Radio Club will sponsor the April 2 debut at the Canad Inn, Garden City, in Winnipeg (9:30 AM until 4:30 PM CDT). The April 10 beta test will take place at Keefe Technical High School in Framingham, Massachusetts (12:30 until 4 PM EDT), in place of the normal Yankee Clipper Contest Club (YCCC) open house. "Today there are not as many HF Elmers," Hull said. "Who better to be the ambassadors of HF than contesters? We're passionate about HF!" Contact Discover the HF Experience for more information. Read more. 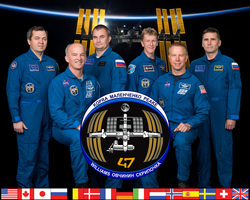 After launching on March 18 in a Soyuz TMA-20M vehicle from the Baikonur Cosmodrome in Kazakhstan, the Expedition 47/48 crew increment of Astronaut Jeff Williams, KD5TVQ, and Cosmonauts Oleg Skripochka, RN3FU, and Alexey Ovchinin is settling in on board the International Space Station (ISS). "During their 6-month mission, the expedition crew members will facilitate approximately 250 research investigations and technology demonstrations not possible on Earth," NASA said. "Science conducted also will enable future long-duration human and robotic exploration into deep space and on the agency's journey to Mars." Williams, Skripochka, and Ovchinin joined Expedition 47 Commander Tim Kopra, KE5UDN, European Space Agency astronaut Tim Peake, KG5BVI/GB1SS, and cosmonaut Yuri Malenchenko, RK3DUP, on the ISS. Williams will take command of the station on June 4 for Expedition 48. This mission marks the fourth spaceflight for the 58-year-old Williams, and it will be his third long-duration stay on the orbiting laboratory -- a first for an American. It's also his first time back to the ISS since its completion in 2011. When his duty tour is over, Williams will become the new American record holder for cumulative days in space -- 534 -- surpassing Expedition 46 Commander Scott Kelly, who wrapped up his 1-year mission on March 1. Skripochka has the distinction of having flown on both the maiden and final voyages of the "old" Soyuz spacecraft. Russia's Energia is set to debut a new Soyuz model, the MS. The ham radio mentor who inspired the term "Elmer" -- Elmer P. "Bud" Frohardt Jr, W9DY (ex-W9GFF), of Madison, Wisconsin -- died on March 22. He was 93. A friend and co-worker of the late Rod Newkirk, W9BRD (later VA3ZBB), who edited QST's "How's DX?" column, Frohardt was the "Elmer" that Newkirk had in mind when he used the name in his March 1971 column, referring to someone who helped to mentor new Amateur Radio licensees. "Too frequently one hears a sad story in this little nutshell: 'Oh, I almost got a ticket, too, but Elmer, W9XYZ, moved away and I kind of lost interest,'" Newkirk had written. "We need those Elmers. All the Elmers, including the ham who took the most time and trouble to give you a push toward your license, are the birds who keep this great game young and fresh." On AC6V's "Origin of Ham Speak" web page, John Becker, K9MM, is quoted as saying, "Bud was very well known locally for his involvement with the RAMS (Radio Amateur Megacycle Society) radio club, and he was always helping newcomers to the hobby." Comedian, actor, and TV personality Garry Shandling, ex-KD6OY, died March 24 after suffering an apparent heart attack in Los Angeles. He was 66. 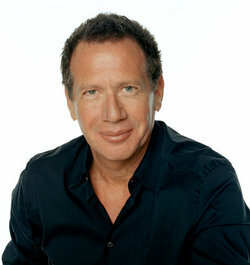 Shandling became a ham as a teenager in the 1960s, long before he entered show business. "When I was 13 I had a ham radio set (true! ), so I could sit in my room and talk to people the world-over. Geeky? Or just ahead of my time!!?" Shandling tweeted in May 2011. Shandling grew up in Arizona and majored in electrical engineering at the University of Arizona, but he went on to earn a degree in marketing and complete some post-graduate work in creative writing. He worked in marketing for a time, until a script he wrote for "Sanford and Son" turned into his first big break into entertainment. His most-recent Amateur Radio license -- issued to him under a pseudonym, Dave Waddell -- expired in August 2009. The call sign was KQ6KA. Shandling obtained the call sign under an assumed name, apparently so that he could get on the air without being recognized as a celebrity. Prior to KQ6KA, he held KD6OY under his real name, as well as WA7BKG in his early years as a ham. He had an alter ego on television as well. On "It's Garry Shandling's Show," he played a comedian much like himself. "The Larry Sanders Show" followed, and in that popular HBO series, he played a late-night talk show host. Read more. ARRL/TAPR Digital Communications Conference Issues 2016 Call for Papers: Technical Papers are being solicited for presentation at the 35th Annual ARRL/TAPR Digital Communications Conference (DCC), to be held September 16-18 in St Petersburg, Florida. Papers will also be published in the Conference Proceedings. Authors do not need to attend the conference to have their papers included in the Proceedings. The submission deadline is July 31, 2016. The ARRL/TAPR Digital Communications Conference is an international forum for technically minded radio amateurs to meet and present new ideas and techniques. Submit papers via e-mail or mail to Maty Weinberg, KB1EIB, ARRL, 225 Main St, Newington, CT 06111. Papers will be published exactly as submitted, and authors will retain all rights. CQ World Wide DX Contest Rate Records Posted: The CQ World Wide SSB and CW Contest rate records have been updated with details from the 2015 CW logs. It's possible to query the database by year, continent, call sign, and country. "It is interesting to see how many high-rate records were set in 2015," said Randy Thompson, K5ZD, past CQ WW Contests Manager. That includes the current CW and SSB records in the high-power category. The top CW rate was 371 contacts per hour, set by N6MJ, operating as ZF2MJ. The top SSB rate was 407, set by W2SC at 8P5A. Rates listed are the best 60-minute tallies. Tables also have been posted for Low Power and QRP, as well as for multioperator categories. The rates listed were calculated from publicly available logs before log checking and may include duplicate contacts. The Cabrillo logs and the top-rate segments are available. Tad Cook, K7RA, Seattle, reports: This week solar indices again crept lower. Average daily sunspot numbers declined by 8 points to 20.4, and average daily solar flux went down by 2.4 points to 86.4. Geomagnetic indices softened, with planetary A index down by 3 points to 8.9, and the mid-latitude A index down by 1.2 points to 7.4. Just one new sunspot appeared since March 17, and that was on March 24. Predicted solar flux values from USAF and NOAA saw a major downward shift on March 28. Overnight, the predicted average daily solar flux for the 38 days from April 4 through May 11 dropped from 91.6 to 82.2. You can see this by downloading the spreadsheet. Predicted solar flux is 85 on March 31 through April 5; 80 on April 6-9; 85 on April 10-11; 80 on April 12-17; 85 on April 18-24; 80 on April 25-28, and 85 on April 29 through May 2. Predicted planetary A index is 8, 10, 26, and 16 on March 31 through April 3; 8, 12, 10, 5, and 10 on April 4-8; 5, 15, 24, 22, and 20 on April 9-13; 8 on April 14-15; 5 on April 16-22; 12 on April 23-24; 8 on April 25; 5 on April 26-28, and 25 on April 29-30. Sunspot numbers for March 24 through 30 were 25, 24, 23, 23, 23, 13, and 12, with a mean of 28.4. The 10.7 centimeter flux was 86.5, 85.5, 85.5, 88.2, 87.7, 87.8, and 83.8, with a mean of 88.8. Estimated planetary A indices were 7, 6, 3, 13, 10, 11, and 12, with a mean of 11.9. Estimated mid-latitude A indices were 7, 6, 2, 10, 9, 8, and 10, with a mean of 8.6. In this week's bulletin look for an updated 3-month moving average of sunspot numbers. NCJ -- National Contest Journal. Published bi-monthly, features articles by top contesters, letters, hints, statistics, scores, NA Sprint and QSO Parties. Subscribe to the ARES E-Letter (monthly public service and emergency communications news), the ARRL Contest Update(bi-weekly contest newsletter), Division and Section news alerts -- and much more!